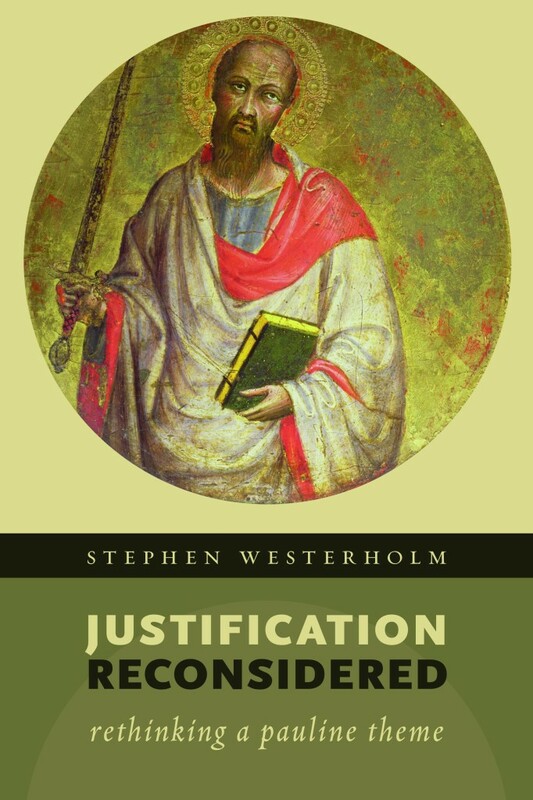 Westerholm builds his case for a traditional view of justification by devoting each chapter to one scholar and their non-traditional claims. Each view serves as a foil for Westerholm to dialogue with. Chapter 2: The Judaism of Paul’s day was not legalistic, in fact his understanding of grace comes from Judaism (E. P. Sanders). Chapter 3: Paul’s view of human sinfulness and inability to do good is in fact inconsistent and self-contradictory (Heikki Räisänen). Chapter 5: Paul’s comments about ‘works of the law’ are not condemning Jewish faithfulness to the law, and certainly not legalism (see ch. 2), but specific boundary markers separating Jew and Gentile (James Dunn). Chapter 6: Paul believed in ‘apocalyptic redemption’ and not ‘justification theory’ (Douglas Campbell). Each chapter begins with the ‘problem’ with traditional justification and then launches into Westerholm’s response. This format of addressing one main assertion per chapter has a number of benefits. It’s a clever way of introducing and summarizing recent scholarship, informing the reader of specific issues that must be wrestled with, and allowing Westerholm to be focused in his replies. While I found this approach to be very helpful and clear, I suspect it hindered Westerholm from putting justification in a larger context. This is probably my largest criticism of this book, so let’s get it over with now so I can return to praising it. Westerholm rightly emphasizes the centrality of God’s wrath and that the ungodly can be justified in Christ; however, how this fits in the Biblical storyline is not explored. At times I felt as though concepts were dangling in mid-air. Why has God provided escape from His wrath now? What has this to do with Christ being exalted as Lord in His resurrection and ascension? What has this to do with Israel’s story? These are prominent concerns in Paul’s letters, even when addressed to primarily Gentile churches. It seemed to me that Westerholm somewhat neglected how justification by faith ‘fits’ this context. Reclaiming the big picture is a strength of someone like N. T. Wright and we need not adopt his NPP views to agree with much of his broad storyline. Westerholm’s view of justification fits very neatly in with some of Wright’s insights. For example, Wright emphasizes that the gospel is “Jesus is Lord”, but how is that in fact good news for a rebel sinner under His wrath and awaiting the final verdict of judgment. The answer is found in the view of justification that Westerholm presents here! Ok, with that over, back to my praise. I think Westerholm basically has it right. He is not reacting defensively to different views, but carefully and articulately. Westerholm is a clear lover of Luther but he isn’t afraid of critiquing his position either. His scholarship is more than simple conservatism (in fact he’s mostly restricted himself to Paul’s ‘undisputed’ letters in this book), and beyond correction. I appreciated that he acknowledges that justification by faith did seem to arise from the context of Gentile inclusion (as NPP advocates), but reaches a deeper problem (contra NPP). Westerholm is well known as a great writer, and I can only reiterate this point. I just enjoy reading him. His writing ascends far beyond dry scholarship; it is witty, clear, articulate, and packs a rhetorical punch. It’s not very often I laugh out loud reading a theology book, in fact, the last time was in Westerholm’s Understanding Paul (my review). If there were an internet petition for Westerholm to write more books, I could take gladly use that spare second to sign it without hesitation and feel like I’ve made a real difference in the world. You have maybe noticed that I haven’t actually engaged with Westerholm’s argumentation in Justification Reconsidered. I’d encourage anyone interested to pick up this book and just read it for themselves. This is far from a polemic or apologetic for traditional justification, it is a great articulation of the doctrine itself and why every Christian should believe it. At 112 pages, Justification Reconsidered serves as a great introduction to the discussion on justification and the New Perspective and rebuttal of non-traditional claims. It would be an excellent book to assign for student reading, or even a launching pad for research papers. However, it should not be dismissed or underestimated as a mere introduction due to its brevity; this is an important contribution to scholarship on its own right. While only so much can be covered in a book this size, Westerhom’s focus is pointed, his argumentation is tight, and he is able to pack a surprising amount of great content into relatively few pages. Justification Reconsidered is much like Bard, taking aim at the mighty Smaug; is this the small arrow that brings down the mighty (New Perspective on Paul) dragon? Review copy? No, my own.